What a delightful initialism! * And, arguably, a suitably Australian one: while the British have that renowned and respectable institution, the OED (Oxford English Dictionary), we have the almost colloquial the AND (Australian National Dictionary). The recent celebration of the AND’s 25th Anniversary was similarly toned, beginning with a marvellous speech by Associate Professor at the University of Sydney, Richard White. Rather than list the considerable achievements of the AND chronologically, or wax ad nauseam on the rise and fall of Australian dialectic traits, Richard enthusiastically delineated the stories of some eclectic true blue words: home, bonzer, Australiana, mate and cooee. As an historian†, Richard is personally indebted to the work of the AND, and has frequented the publications of the AND and the AND Centre itself at the Australian National University. His stories of the five Aussie words were engaging and humorous. We learned about how “home” in Australia around the 1840s began to develop a capital letter or inverted commas, to self-consciously refer to Britain as the mother-country, and was later used parodically as we developed a sense of our own nationhood. We learned about how cooee was over-used in Australia, attached with such an overbearing sense of nationalism that we ceased using it as often. 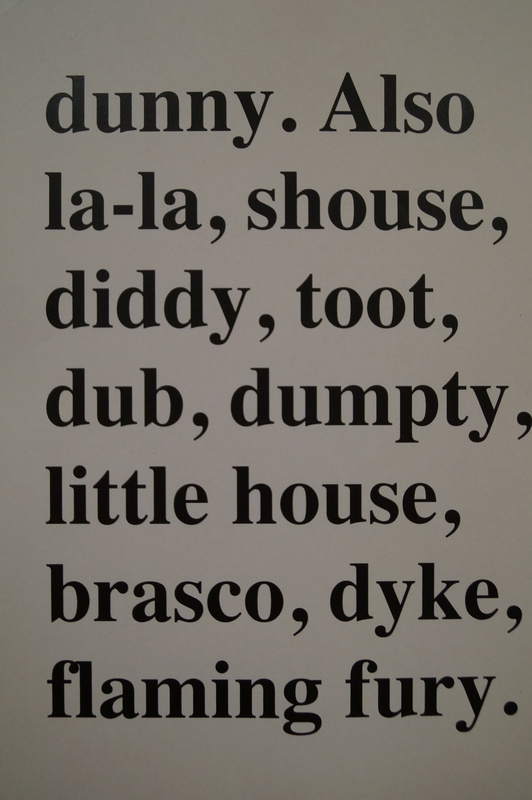 We learned about how at the same time, cooee had spread so far from its origins in Aboriginal Australian communication that people in New Zealand were looking for a Maori etymology of the word, and the English were claiming it as quintessentially British. And of course there was audience participation too: someone prompted the discussion of “mate” being used homoerotically, and a linguistic scholar noted that it was now being used by women and English-as-a-second-language people in Australia. 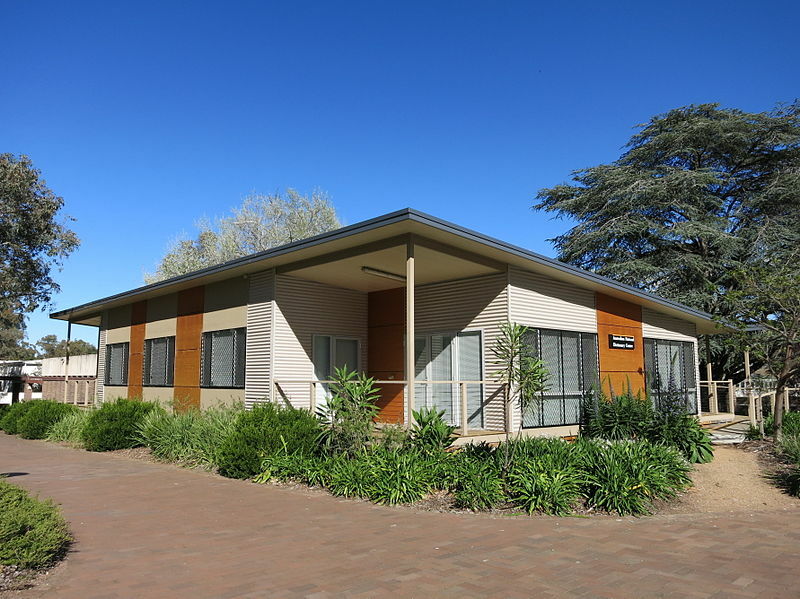 Then we retreated from the conference room to the Australian National Dictionary Centre itself: a brilliantly Australian building reminiscent of a corrugated iron shed. Here we were treated to a selection of food from the The Gods Café, and much better wine than is served at most ANU events. I offered my services as photographer, which allowed me to mingle with the delightful crowd of linguists, AND workers past and present, and people like myself who just like dictionaries. 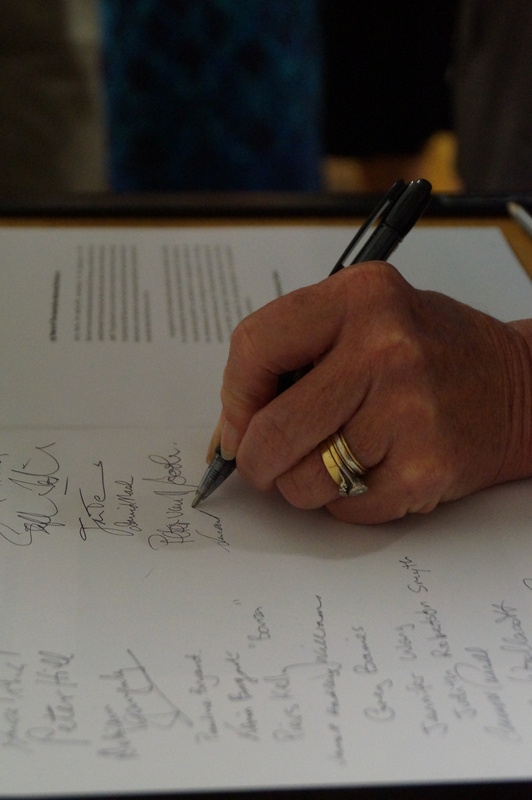 We all signed ourselves into the 25th Anniversary publication; a short and human series of recollections by people who had worked on the AND over its quarter century history. Although Richard White had done well to resist the temptation to explain the history of the AND to an audience who already knew it (or were even a part of it), the story is actually a great one. 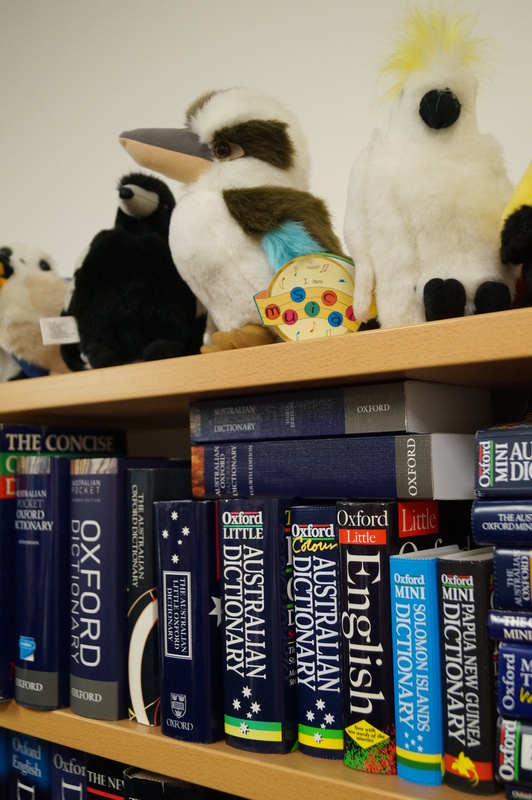 The Kiwi Bill Ramson, after moving to Australia and spending some years working on what was to be the Macquarie Dictionary of Australian English, decided to compile a more historically based dictionary in the style of the OED. In a mere decade he’d completed the work, and published it through the Oxford University Press for the bicentenary of the arrival of white settlers in Australia (1988). Everyone is now turning their eyes to the second edition, due within the next few years, and I certainly hope that I’ll still be in Canberra to celebrate it. You never know – I might learn something new about the word cooee, and follow it up with some more wine! To access the whole AND, online, for FREE, just click here. I’d also recommend the AND blog, ozwords. * Fun fact: While we use the definite article “the” with initialisms (the OED, the NSA) we drop them for acronyms (NASA). † Footnote from my tame linguist: Despite all the school English teachers who taught you to use the indefinite article “an” instead of “a” before all words starting with an‡ ‘h’, the actual rule is more complicated. “An” should only be used before words whose pronunciation starts with a vowel, regardless of their spelling. Where the first syllable of the word is not stressed, the speaker may abandon the ‘h’ and start the word with a vowel. In that case, “an” is indeed required. However, where the ‘h’ is pronounced, “a” is the correct indefinite article. So should “historian” be preceded by “an” or “a”? The first syllable is unstressed, which means that both are correct, depending on the writer’s pronunciation.‡ In Australia and the UK, the letter ‘h’ is usually pronounced “aitch” and requires the indefinite article “an”. In the US, ‘h’ is pronounced “haitch” and is correctly preceded by “a”. Squee, new words! But srsly people, stop derping. 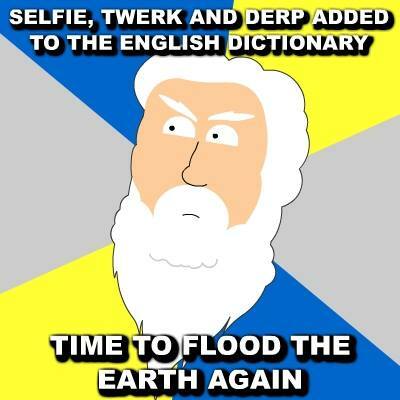 So, the Oxford Dictionary added some words. “Liked” by more than 62,000 people on one page alone. First and foremost, let me clear up a few confusions. The Oxford English Dictionary – that is, the OED, the “Definitive Record of the English Language” – has not added these words. 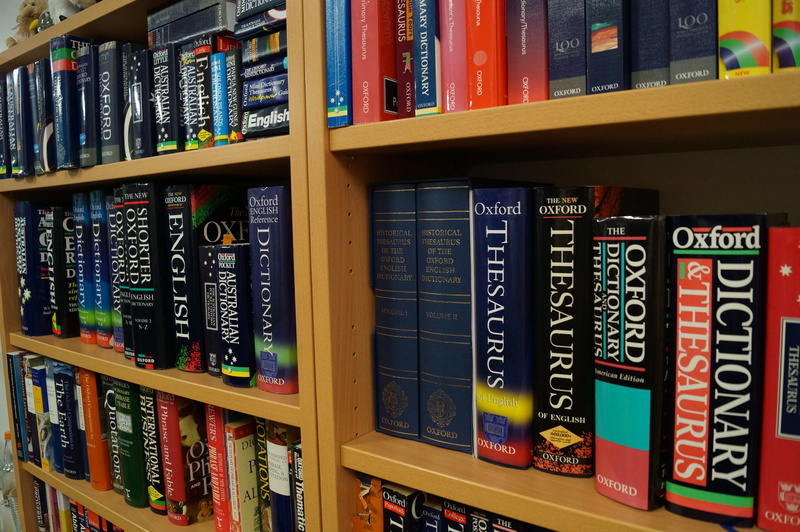 These words have been added to Oxford Dictionaries Online (ODO) – the free, online version, which more speedily records changes to the vernacular. An excellent and more thorough exploration of the difference as it relates to these words has been written by Ben Richmond at Motherboard. Third, and the thing that most people seem to disagree with, is the role of a dictionary. I’ve had a rant about this previously when discussing the word antidisestablishmentarianism, in which I argue that the role of the OED/ODO is descriptive rather than prescriptive. Other dictionaries are indeed more restrictive in their new additions, but the consensus is that if a word maintains widespread, sustained and meaningful usage then it is added to a dictionary. 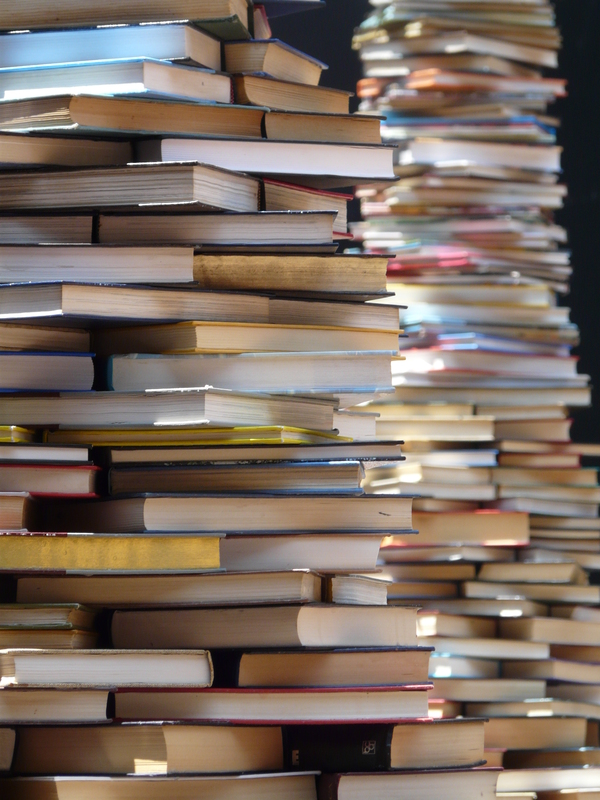 In this way, a dictionary is neither the record of a snobbish elite, nor the constantly changing trends of the masses, but an (almost) up-to-date and valuable resource that reflects current and past usage of our verbal and written communication. Basically, dictionaries reflect our language use. The purpose of them is so that, when we hear or read a word that we do not know, we are able to go to a moderated* reference source in order to work out what that word means and how to use it. So, apols to everyone who thought that – as an English PhD candidate – I too would shake my head in shame at humanity, and declare the need for a digital detox at this latest dictionary omnishambles, but while I may not exactly squee over Miley Cyrus’ twerking†, neither will I vom and make a fuss about a dictionary doing what a dictionary’s got to do. 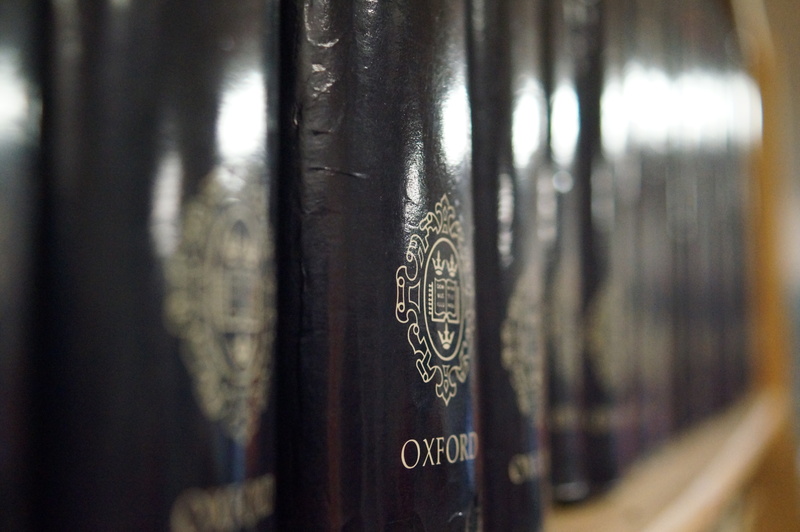 Still, it must be said: grats to Oxford Dictionaries Online for getting this much attention! Srsly people, dictionaries ARE exciting! *As much as the examples in Urban Dictionary are hilarious, it is a less useful reference system precisely because anyone can edit it, and it has no moderation, which leads to painfully long and sometimes contradictory entries. Below is a list of some of the new words, taken from The Washington Post. • cake pop, n.: a small round piece of cake coated with icing or chocolate and fixed on the end of a stick so as to resemble a lollipop. •omnishambles, n. (informal): a situation that has been comprehensively mismanaged, characterized by a string of blunders and miscalculations. So, we all know the word “antidisestablishmentarianism”, but how many know what it means? The automatic response, of course, is to reach for the nearest dictionary, and online dictionaries are facilitating much ease of reaching, and much less spilling of coffee. Yet, this particular word – colloquially known as the longest word in the English language that most people can remember, but not the actual longest – is not in all dictionaries. This was a revelation for me too, when I was recently linked to a video from the Merriam-Webster Dictionary. It is a part of a series of videos on their website, in which the editors of this American dictionary answer questions about the language, the dictionary and grammar. They have some excellent stuff – there is even a wonderful video about the figurative use of the word “literally” in there! However, the video about antidisestablishmentarianism bothered me. For the Merriam-Webster collegiate dictionary, the longest word is electroencephalographically (by using electroencephalography to examine a patient), which at 27 letters long is quite a long word. Antidisestablishmentarianism would only best it by one letter. Yet antidisestablishmentarianism is not the longest word for the M-W, and that is because it is not a word entered into their dictionaries at all. They give a decent justification for this – all words that they enter must meet certain criteria. Antidisestablishmentarianism is rejected on the grounds of meaningful usage, because there is little evidence that the word is used to refer to something (other than being an example of a long word). M-W argue that although a meaning could be constructed for the word – opposition to depriving a legally established state church of its status – there are few examples of it ever being used this way. In fact, the M-W files only contain three examples of the word being used like this, which for them is not enough evidence of sustained or widespread usage. The video concludes that if this word develops more widespread, sustained and meaningful use, then it will be entered into their dictionaries. But not before then. The same applies for “supercalifragilisticexpialidocious” – another word found nowhere in the M-W. The video left me dissatisfied. Thus, as I am wont to do, I checked the Oxford English Dictionary. Properly, opposition to the disestablishment of the Church of England (rare): but popularly cited as an example of a long word. 1960 Amrita Bazar Patrika 17 June 6/4 But then ‘Antidisestablishmentarianism’ contains three more letters, as pointed out by two readers. 1984 T. Augarde Oxf. Guide Word Games xxvi. 216 The longest words that most people know are antidisestablishmentarianism..and supercalifragilisticexpialidocious. There it was, in all its glory. The OED had included the word antidisestablishmentarianism. Yet, something was wrong. All these examples were of the word being used as an example of a long word – precisely the criticism that the Merriam-Webster had levelled at it. This was not true of the derivative, antidisestablishmentarian (note the lack of “ism”). 1900 N. & Q. 25 Aug. 147/1 In the recent biography of Dr. Benson is an entry from the Archbishop’s diary to the effect that ‘the Free Kirk of the North of Scotland are strong antidisestablishmentarians’. This was as frustrating as the original video: if there were examples, why had the OED not cited them at all? I explored the web myself, discovering that the word antidisestablishmentarianism was almost always only used as an example of a long word. It occurred occasionally in scholarly articles, but more often in a title rather than the text itself. When it did occur in the text, it was usually talking about the word itself, and only rarely using the word in a sentence to which it added useful information. Some other relevant considerations are nicely captured by John Madeley in his characterisation of an important strand in contemporary antidisestablishmentarianism. This is a typical, dry example of the way in which the word can be used once in an article. The rest of the net was full of discussion around the word (about 258,000 results), with lots of people defining it when asked to, but not usually using it as a word outside of the discussion of the word. Well, it depends how you interpret the role of a dictionary. Merriam-Webster is the descendent of Noah Webster’s original 1828 “An American Dictionary of the English Language”, which attempted to standardise† American speech. This philosophy has carried over into their present publishing: they offer guidance for people using the English language, and as has been noted, have certain criteria that must be met by words for them to be entered into their dictionary. Interestingly, this prescriptive rather than solely descriptive approach is usually brought up as a criticism of the Oxford English Dictionary, which is a very powerful authority of the English language. The criticism is not necessarily negative: Merriam-Webster has criteria about the entry of words because they only want to record words that meet them. Nevertheless, I argue that the Oxford English Dictionary, as the self-proclaimed “Definitive record of the English language”, should record the usage of that language, and I love that it meets that challenge (at least for this word! And supercalifragilisticexpialidocious‡. But please don’t attack me with a million examples of where this is not so!). The word antidisestablishmentarianism is used very often and in a consistent way, even if that usage is circular (referencing itself as a long word), and that it only rarely gains a real meaning (which the OED, I freely concede, should really quote examples of if it wants to include that usage in the definition). To acknowledge that the word exists in the language and then to refuse to record it is to impose prescriptions, and restrictions, upon the language. If a person heard the word antidisestablishmentarianism used in conversation (as, say, in the unlikely scenario of an example of a long word), and wanted to find out the etymology or usage or pronunciation of that word, they would be able to answer these questions in the OED, even if they might be unable to find out a satisfactory meaning. This is not to say that such authorities of a language should not give advice about the usage of words. Conversely, one needs guidance about certain standardising (and evolving) rules and usages, if only so that they can informatively break them. The image above was taken last year at the University of Western Australia, Perth. –adjective 1. opposed to the disestablishment of a church by the withdrawal of state patronage. –noun 2. someone who is thus opposed. Usage: This is a term that relates to the position of the Church of England in 19th-century Britain, but it retains some currency because the derived form antidisestablishmentarianism has popularly been thought to be the longest word in the English language. Also of interest, Germany has recently deleted its longest word. *I use the OED online, because I find it very easy to use, and mostly because I never have a hard copy on hand. Or one at all, actually, though I do intend to acquire a hard copy of the second (most recent) edition, as I feel that it would be wrong not to celebrate the edition of the year of my own birth. †I am actually rather fond of the OED spelling of words with an “-ize”. (Yes, that is correct: this is the Oxford spelling, not just the American standard.) Not only is “standardize” so much more exciting and exotic than “standardise”, but it is much closer to the English pronunciation, has been in spelling since the 15th century (-ise turned up in the 18th century), and for most words, is closer to the original etymology: the -ize ending corresponds to the Greek verb endings -izo and -izein. The Oxford English Dictionary uses the -ize spelling for these etymological reason, but also because that is what they have used since their first unofficial publications from 1884 (and complete dictionary in 1928). They state that both spellings are correct; importantly, neither -ise or -ize is more “correct”! However, I use the -ise spelling, because that is the standard Australian (and British) spelling. Simple as that! Some words in British English require the -ise spelling (like exercise, or advertise) due to their different etymological roots, which has been suggested as the reason for why the British standard of always using -ise may have been adopted. For a more articulate version of this explanation, see the OED’s blog post about the subject.